Young Indy 6' Leather Bullwhip | BUDK.com - Knives & Swords At The Lowest Prices! 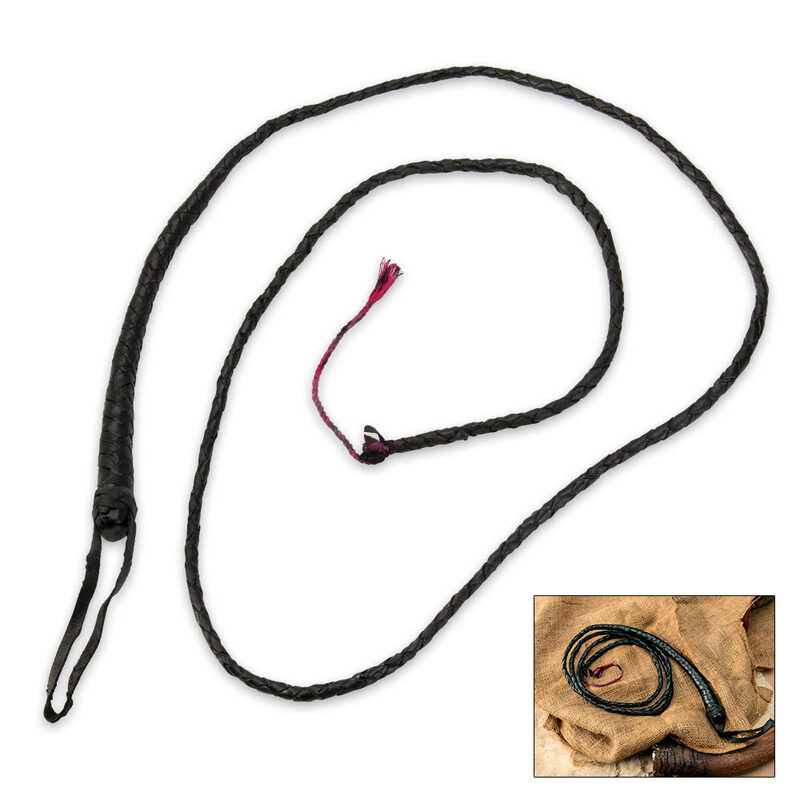 This tough 6' bullwhip is crafted from genuine leather and is guaranteed to "whip" the competition! It makes an impressive popping sound when cracked, and the handle includes a wrist strap for a no-slip grip. One of the only reason I got this whip is because of a free shipping promo. I'm guessing it cost less than a dollar to make. The black paint comes off on hand. After about 30 cracks I had to modifie it with electrical tape to keep it from breaking. I got it yesterday but the cracker looks like it's already breaking. For what I paid for I'm happy. I ordered this as a novelty gift.I didn't expect much for the price but it broke the very first time I tried to snap it. Very disappointing.But this has no effect on my opinion of your company. I am very pleased the the quality and prices of your other inventory.I will continue to use this company. This whip is OK for the price. It is not very good quality I have had it for a day and it is falling a part little by little. Very good for the money. Made poorly but still cracks and hurts like heck to get whipped by. Poorly made but its great for display.